Disclaimer: The Fandads were provided with gear free of charge. All thoughts and opinions are our own. 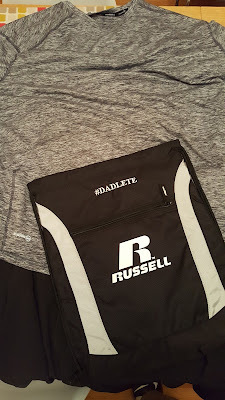 Russell hooked us up with some workout gear and a sweet #DADLETE bag. It's comfortable to work out in, looks pretty good, and best of all they have my size! I'm a little bit on the larger side and it can be hard to find clothes sometimes, especially comfy workout clothes, but these clothes have been an awesome fit so far. Fitness is important to us here at Fandads, and while I've been kind of keeping my progress quiet, I'm steadily making my way toward being a more fit father and a better example for my children. I've still got a long road ahead of me but inspiration can be found everywhere if you just look. Thanks for reading! 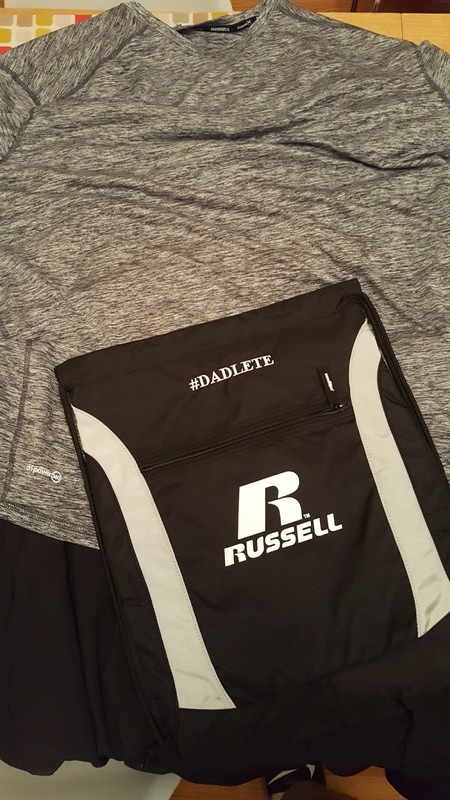 #Dadlete, #GetHealthy, #LetsGoChamp, #NDCQ. The Star Wars universe is so massive that there are infinite stories that can be told about it. Why is Boba Fett the most feared bounty hunter in the galaxy? Why do people age so fast on Tatooine and why did Willrow Hood decide to save his ice cream maker when the Empire invaded Cloud City? It's time to start running again! 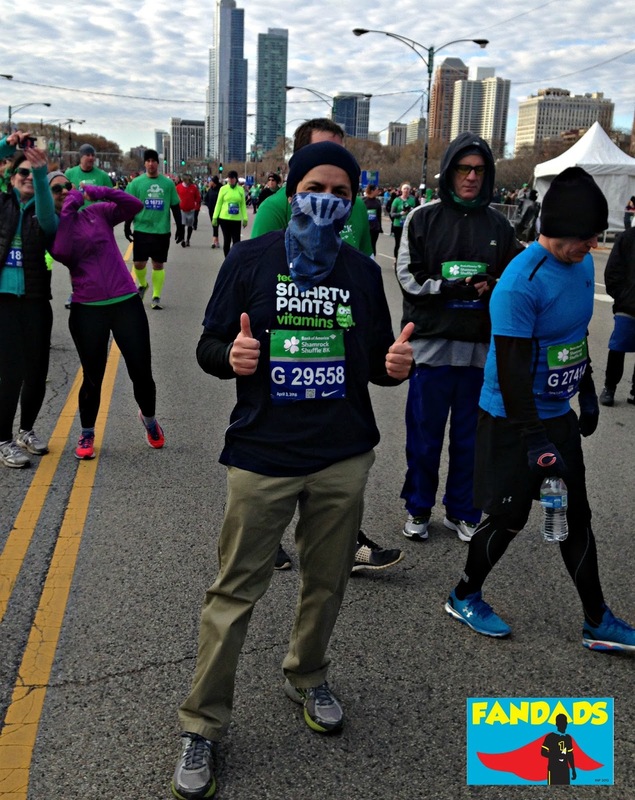 Next Sunday, April 2, I will be running in my fourth Bank of America Shamrock Shuffle. I will be running with thousands of other runners throughout Chicago's downtown area and celebrating the beginning of the running season. Last year I ran the race in a pair of Lee Khakis just because they were so flexible and comfortable. This year, I don't know how I'll dress, but if you follow us on Instagram, you will probably see a picture or two of the run. So why do I run? Why would I wake up early on a Sunday morning and run 5 miles? Well, one reason is: "Why not?" Why not take advantage of the time you have on this planet and go out and do something new and different that you have never done before. I like the notion of running on these busy downtown streets without the worries of cars hitting me when I am crossing the streets. It is also exciting to see all the people cheering you on as you run through the city and getting that rush when you cross the finish line. Yeah, I can't wait for that moment. 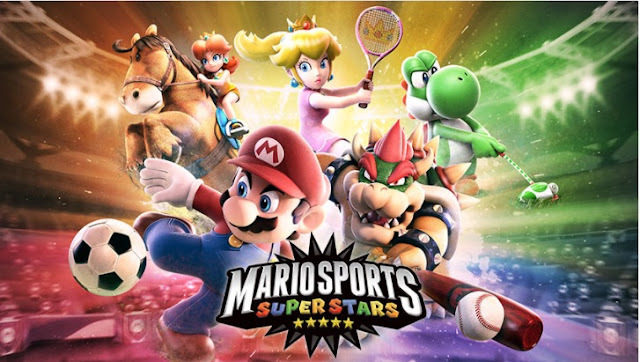 Disclaimer: The Fandads were provided with a downloadable copy of Mario Sports Superstars for this review. All thoughts, opinions and sore thumbs are our own. Mario Sports Superstars brought me back to the days of the Wii U. It felt similar to what Wii Sports was. Enjoyable, easy to pick up, and a good way to spend some time. Playing on the 3DS is a nice bonus in that you can take it to go. Want to get a quick soccer match in? No problem. Hit the links for a quick nine? Mario Sports Superstars has you covered. 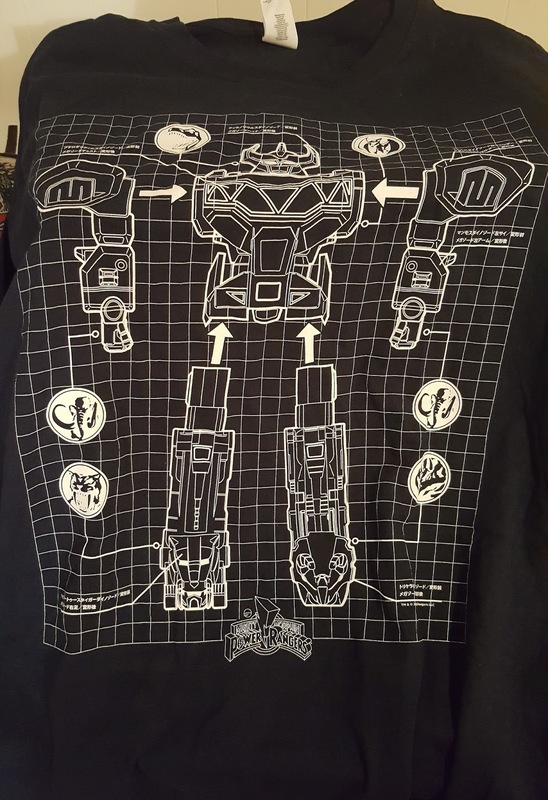 With the new Power Rangers movie hitting theaters tomorrow, we thought this would be the perfect tee for T-Shirt Thursday! 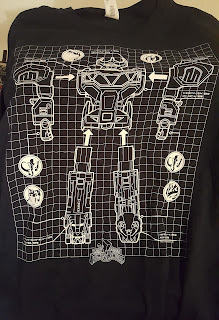 Once again another t-shirt from Loot Crate. This tee was shipped in their latest crate! Go Go Power Rangers! 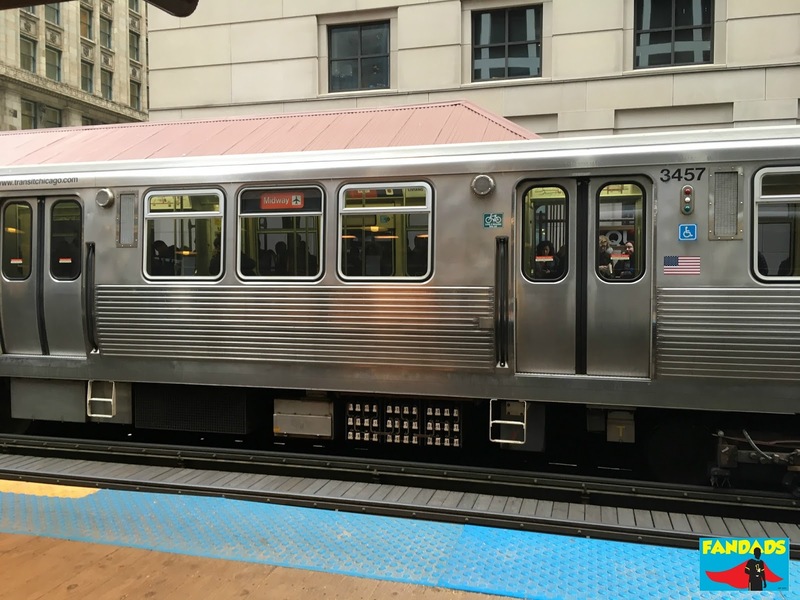 Every morning when I go to work I take the train for a 45 minute ride to Downtown Chicago. The ride is usually quiet at the beginning and then the noise starts to amp up as we get closer to the center of the city. During the ride I, like mostly everyone on the train, am staring down at my phone, catching up on emails, reading Facebook posts and reading posts by my fellow dad bloggers. You know, trying to be productive while riding the train. 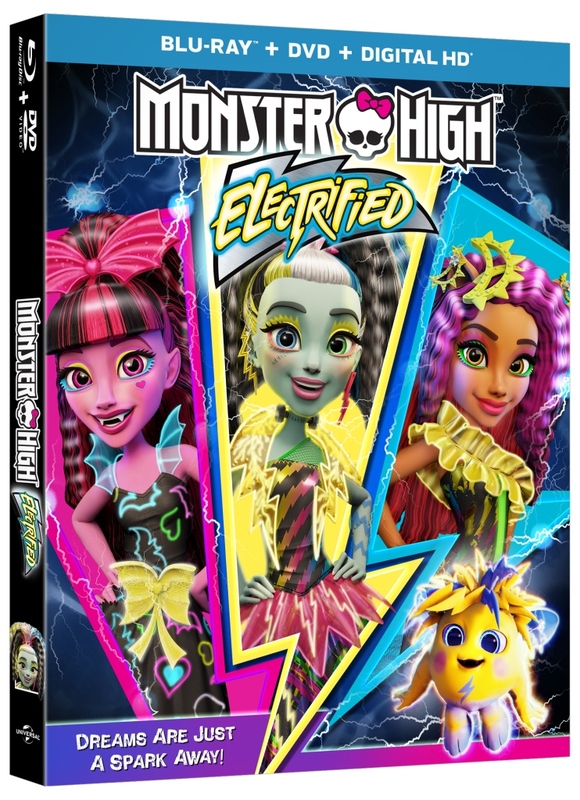 Disclaimer: The Fandads have teamed up with Illumination Entertainment for this review and giveaway. All thoughts, opinions, and singing out loud are our own. Animated movies have come a long way since I first started watching them when I was little. Back then the stories were simple and not too complex for children to enjoy them. Nowadays, a lot of animated movies have authentic emotions attached to them, that there is a lot to see than just what is on the surface. When I first saw commercials for Sing, I thought it was just going to be a movie about a talent competition, but there was a lot more to it than that. As most children, my daughter goes through phases with her Disney movies. Most parents know this routine. One movie is played constantly on a loop until they find another movie to replace it. 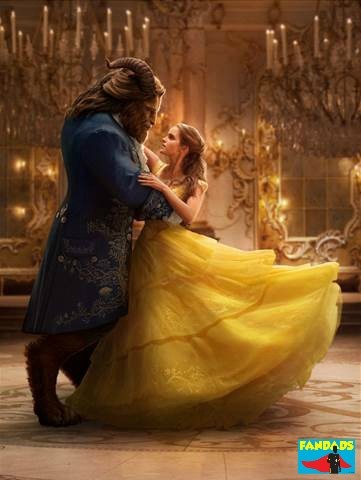 So with all these movies being played endlessly, I'm kind of glad that one of those was not Beauty and the Beast. The reason I say that is because when we were able to see it on the big screen again after not seeing it for so long, it brought back feelings of nostalgia and made, at least for me, the experience feel like I was watching it for the first time. So here it is again. That feeling of disappointment. That feeling that I let others down. I get this feeling every now and then, but today it just hit me at the worst time. Today I was running late for work due to shoveling the March snow in the morning. Yeah. You read that right. Snow in March. Well, anyways I woke up early to shovel the snow and then I had to drive my children to my in-laws house and drop off the car and head to work. The snow ensured that everyone would drive like they have never seen the powdery stuff before. The normal five minute ride almost tripled and I'm including the return trip home. When I got to work I had a message from the recruiting department if I had a minute to talk. Here's a thing about me; even though I post a lot of things for the Fandads social media pages, I try to keep some personal life moments to myself. There have been plenty of times when I would mention something to someone or post something online and it falls apart. A few examples. I used to work for a marketing and promotion company once and sometimes I would be in charge of setting the itineraries up for artists that were coming to town. I would call the stores, set up times and pass it to my manager for approval. I would usually get "since you made the itinerary, you can ride along with artist "so-and-so" for the in-stores." I would let me friends know and then, either the artist cancels or something else comes up that I can't go. There have been many other instances like that, but I don't want to bore you with my bad luck stories. Ok, so what's the point in all of this and why was someone from recruiting messaging me? Well, since the week I returned from Dad 2.0 I had a few interviews with another department at the company I'm currently working for. This new position would be permanent and will help me in achieving my goal of providing for my family. Well after a few weeks and constant prodding by co-workers I found out today that I did not get the position. I made a point of not saying anything to anyone in fear that I might jinx it. My wife obviously knew and just told me to let her know when I hear something. She knows I don't like talking about things like this until it's official. Being told I wasn't getting the position stung. I had, what I thought were two pretty stellar interviews. We were laughing and intrigued in what we were saying to each other, so I thought my shot was good. I knew not to get cocky though and just decided to wait and see what will happen. So after all of this build up and receiving the news today I feel like I let my family down. I feel like this could have been the beginning of something bigger, but now it won't be. Am I sad about this? Yes. Yes I am, but I know when one door closes another one will open. 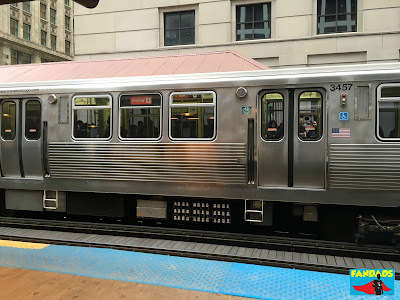 I'll let myself feel disappointed about this for awhile, but as soon as my train reaches my stop and I step out the door to walk home, those feeling of sadness will stay on the train and keep going. I'm not going to stop and will keep moving forward. 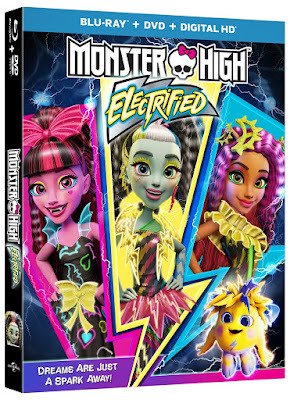 When I was little I always wanted to hang out with the Hollywood Monsters. I thought it would be fun to go to the mall with Frankenstein and the Wolfman. Can you imagine that? Walking around in the mall with these two monsters and all the hi-jinx that you would get into. That would be a fantastic time. Am I the only one that thought this way? Last night the latest trailer for Guardians of the Galaxy Vol. 2 was released and it shows our favorite group of misfits, with some new friends, doing what they do best: shooting stuff up and showing the quirky relationship that they have with each other. Let's talk about the poster for a minute. This poster is a great throwback to late 70's, early 80's science fiction movies. 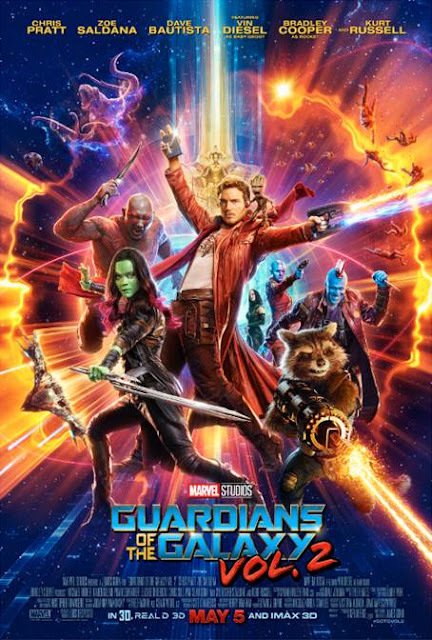 I like the way it looks like Star-Lord is disco dancing while everyone else is in an action pose. This is definitely a poster I want in my office at home. 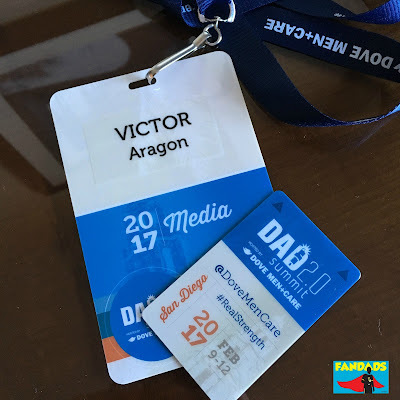 "Here I am" A weekend in San Diego with Dadbloggers, LEGO Batman and Andrew McCarthy. Going to Dad 2.0 Summit is one of my favorite times of the year. 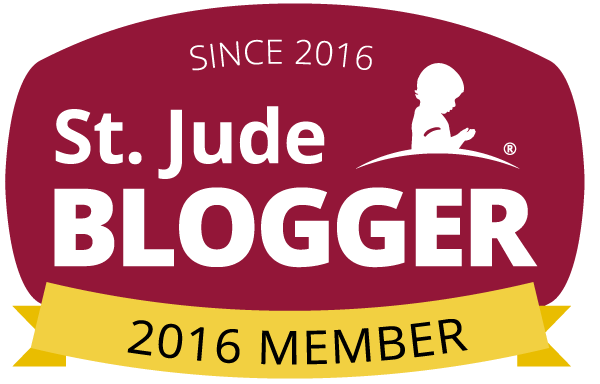 I get to hang out with the fellow dads I talk to online throughout the year and I get to learn some new things for the blog. Trying to recap the Dad 2.0 Summit is pretty hard to do in one post, so I am just going to highlight some events that happened this year.